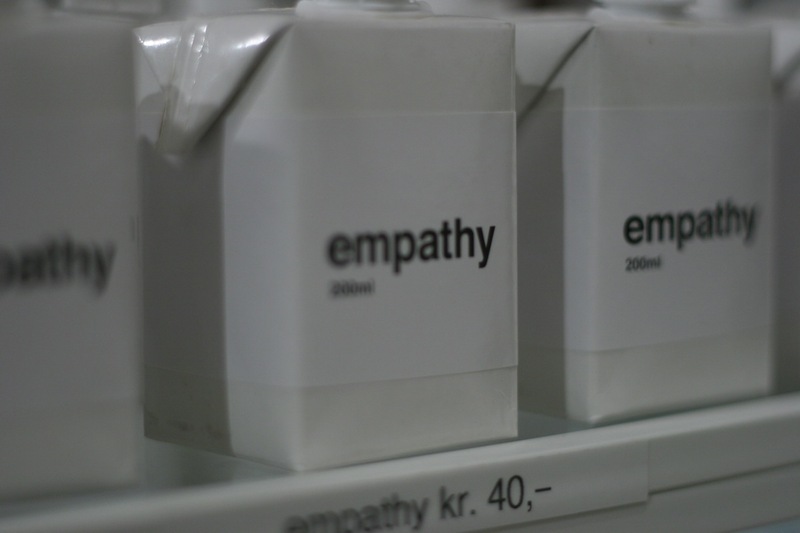 Empathy is a word that is being brought up in the context of business a lot these days. In fact, I just did a Google search for "empathy and business" and noticed that there were almost 30 million results. But doesn't empathy fall into that "touchy feely" category that is more relevant to personal relationships than to business relationships? Although many people still seem to feel that way, I believe empathy is one of the most crucial skills we can possess for professional success, especially as leaders. I'm not alone. Corporate Empathy Is Not an Oxymoron - Harvard Business. Although there are many reasons why empathy is so important, the core reason is quite simple: ultimately, everything in business comes down to relationships. An organization comprised of people who are ineffective at creating and sustaining healthy relationships with the end customer will eventually fail. Conversely, an organization comprised of people who are highly effective at creating and sustaining healthy relationships - with both internal and external customers - has a tremendous competitive advantage. Empathy is one of the core elements of those relationships so crucial for success. In order to connect with people at the human level, we need to be able to understand the perspectives, emotions, and motivations of others. Fortunately, we don't need to be born with high levels of empathy to excel in this area. Empathy is something we can train to develop. By actually practicing empathetic skills, we can change our brains in ways that allow us to be more empathetic in the future. Mindfulness training is also a powerful tool for developing empathy. Research in neuroscience suggests that the insula is an area of the brain that is very important for empathy. Some studies have also shown that intermediate level practitioners of mindfulness have thicker insula compared to matched controls, suggesting that mindfulness training significantly changes the brain in ways that improve empathy. Behavioral studies have shown similar findings. For example, in a study conducted by Paul Condon and Dave DeSteno of Northeastern University, and Gaelle Desbordes of Massachusetts General Hospital, the research team sent a group of people to an eight-week mindfulness training course. Afterwards, they tested the people who received the mindfulness training versus people who had no mindfulness training. Each subject was tested to see how they responded when a woman on crutches wearing a medical boot, who gave visible and audible signals of being in pain, entered a waiting room with only three chairs in it. The test subject sat in one of the chairs, and the other two chairs were occupied by two members of the research team who were not going to give up their seat. Only 16% of the members of the control group gave up their seats for the woman on crutches. However, 50% of the members of the test group gave up their seats. The study suggests that only eight weeks of mindfulness training is enough to significantly increase our ability to empathize with another person. Because the insula is also associated with self-awareness, to exercise that part of the brain we should make the effort to be more aware of our bodies during daily activities and take some time each day to be still, making the effort to maintain awareness of the body without being distracted by thinking. An excellent exercise for improving such body awareness is the body scan. For those of us who would like to take our empathy training to an even higher level, we could practice a kindness mediation whenever we're sitting still and waiting for a minutes, especially during any time dedicated to intentional sitting still practice. I like to practice a variation of a kindness meditation in public places. I take a moment to be aware of my own mind and body, allowing the mind to settle a bit. Then, I take a look at person to remember her/his face, look away (so she/he doesn't think I'm stalking her/him), and send her/him well wishes and the energy of kindness for a few breaths. Depending on how much time I have between worldly tasks I need to accomplish, I may choose few people to practice with. This is not only a way to develop the empathy that makes us more successful as leaders and in business, it is a wonderful way to experience a few moments of joy during what would normally be rather mundane, or even anxiety-producing moments.